Bannon Backs Trump On 2017 "Very Fine" Nazis Quote - Joe.My.God. Stephen Bannon is ratcheting up his war on the Koch network, accusing the billionaire brothers of running “a conscious scam” and a “con job.” He also has a warning for Republican candidates in November’s midterm elections who might be thinking of distancing themselves from President Trump: Don’t do it. 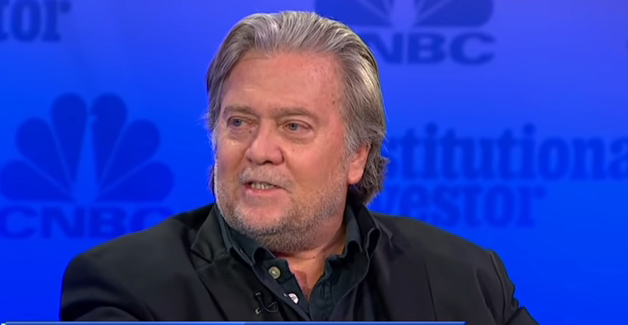 GOP candidates need to get in lockstep with the president, Trump’s former chief strategist insists. But that’s not all. He has no problem with Trump’s comments on the clashes between white supremacists and those opposed to them last summer in Charlottesville, Va. Trump caused widespread outrage by referring to “some very fine people on both sides” amid the violence. The full interview is really something.